The defense assistance deal struck by Israel is a very good one,but the U.S. may not be able to afford it. Although the defense assistance agreement that Prime Minister Benjamin Netanyahu signed with the U.S. government has predictably led to political controversy, it is actually a very good deal, especially considering the poisonous relationship with the current American administration. Criticism centers around two allegations: the first, that it should have been more is easily disposed of. It is the best that Israel has ever gotten. The second is more cogent: for the first time the reservation of up to 26 percent of all contracts for Israeli companies is eliminated and instead 100 percent will go to U.S. contractors. This appears significant, but those making the argument might wish to consider why Israel’s big defense companies did not make an issue of it. The explanation is quite simple. Previously a $100 million contract might have been divided 74 percent for American companies and 26 percent for Israeli counterparts. Now the whole amount will go to the American contractors and they can then subcontract to Israeli companies for whatever percentage they mutually agree. Problem solved, or rather there never was a problem in the first place. Note also, that the deal can be altered by mutual consent at any time with a new U.S. administration and Congress. 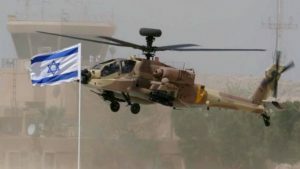 A much more potentially serious problem for Israel with reference to its principal partner and ally in defense development is the glaring fact that the U.S. fiscal situation is awful and getting worse by the day. Our [U.S.] federal deficits have been running at historically unprecedented levels. Public debt this large weighs on economic growth. The unprecedented explosion of so-called entitlement spending is squeezing every other federal activity. The problem is getting worse, fast. Official projections of growing indebtedness are based on wishful thinking. A decade of anemic growth and the weakest post-recession recovery on record has eroded Americans’ economic optimism. To which it might be added that neither of the presidential candidates has suggested anything approaching a program that would begin to correct this disastrous situation. In short, Israel should enjoy the multi-year deal it was offered and accepted and hope that the next administration does not try to negotiate it down, because the U.S. will in the not distant future simply not be able to afford anything similar.